Lipids are fat-like substances that form an essential part of cells and are one of the major energy providers. Lipid profile test is a blood test that analyses amount of cholesterol and triglycerides in body. It is a complete cholesterol test that can even predict risk of fats or plaques getting deposited in walls of the arteries. 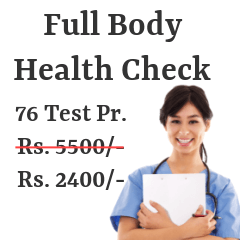 Lipid profile test gives you clear idea of fat percentage in your body. Lipid profile test is generally recommended by doctor to patients having BMI (Body Mass Index) level above 25. It is done in order to check the amount of fatty deposits in their body. 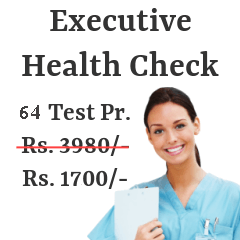 It can be a self-referred test as well as it gives you precise idea about your health. 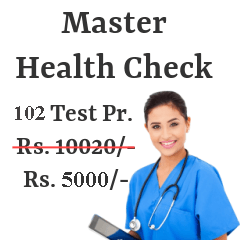 Many diagnostic centers across India provide the facility of lipid profile test. For your convenience, we have compiled a list of hospitals and medical centers in India where lipid profile test is available. Cholesterol is classified into two categories - good cholesterol and bad cholesterol. Good fats in scientific term are called as HDL C (High Density Lipoprotein Cholesterol) whereas bad fats are referred as LDL C (Low Density Lipoprotein Cholesterol). Lipid profile test reports the level of both these types of cholesterol in the body. Apart from knowing the amount of good and bad cholesterol in the body, lipid profile test gives you an idea about VLDL-C (Very low-density lipoprotein cholesterol) and Non-HDL-C which is calculated by subtracting HDL-C from total cholesterol. Unhealthy diet is another key factor that is responsible for high amount of fat deposits. Fast food items, fried foods, bakery items etc. are culprits of health. Sedentary lifestyle also acts as a culprit. Lack of exercise builds in fatty deposits inside body. To keep obesity at bay, it is mandatory that one follows basic rules- eat healthy and organic foods and exercise for at least half an hour everyday. Quit smoking and take alcohol in moderation. Eliminating stress from your life also helps a lot. There are certain rules you need to follow before going for lipid profile test. To get accurate results, fasting for about 9-12 hours prior to the test is advised. One should not consume food or any type of fluids apart from water. Some cholesterol tests do not require fasting. Hence, it is better to consult with doctor for instructions before going for the test. Lipid profile test is usually done in the morning. Sample of blood is drawn generally from veins located in arm. Sometimes, an elastic band is wrapped around upper arm to fill veins with blood. Small amount of antiseptic is applied before injecting syringe. Once the required amount of blood is collected, syringe is removed and a cotton ball is placed on the site. The whole procedure lasts only for few minutes and is relatively painless. Post test, there are no precautions to be taken. One can continue with their daily routine and activities. You can bring some snack along since you may feel hungry because of fasting. Some of the guidelines to interpret test results have been mentioned below. However, it is advised to opt for doctor consultation for better analysis of report and accurate diagnosis. HDL Cholesterol: In HDL Cholesterol, low level signifies high amount of risk as HDL C is considered to be good cholesterol. Less than 40 mg/dL (1.0 mmol/L) for men and less than 50 mg/dL (1.3 mmol/L) for women is considered to be low level. Average level of HDL C for men is in the range of 40-50 mg/dL (1.0-1.3 mmol/L) and that for women is in the range of 50-59 mg/dl (1.3-1.5 mmol/L). Right amount of HDL C for both men and women should be 60 mg/dL (1.55 mmol/L) or higher than that. Total Cholesterol: Desirable range of total cholesterol should be less than 200 mg/dL. Borderline high level is signified in the range of 200-239 mg/dL (5.18 to 6.18 mmol/L). Level of total cholesterol above 240 mg/dL (6.22 mmol/L) or greater than that indicates very high level of cholesterol in the body. Fasting Triglycerides: Less than 150 mg/dL (1.70 mmol/L) is desirable; 150-199 mg/dL(1.7-2.2 mmol/L) is average range; 200-499 mg/dL (2.3-5.6 mmol/L) is considered to be high and greater than 500 mg/dL (5.6 mmol/L) indicates very high level of triglycerides. Non-HDL Cholesterol: Less than 130 mg/dL (3.37 mmol/L) is considered to be optimal; 160-189 mg/dL (4.15-4.90 mmol/L) is borderline; 190-219 mg/dL (4.9-5.7 mmol/L) is considered high and greater than 220 mg/dL (5.7 mmol/L) is very high level of non-HDL Cholesterol. Lipid profile test can be performed on people of all ages. Since, the test gives idea about fat percentage in the body, all fitness enthusiasts can opt for it. If you have high percentage of fat in body, you can take measures to reduce it. People having optimal percentage of fat should take care that it is maintained.